Governing party of Turkey, AKP suffers a major setback in yesterday’s local elections. The sinking economy and deteriorated democratic conditions were at the center of voters’ concerns in Turkish local elections held yesterday. The perception of immense corruption and cronyism in the AKP municipalities were also moving voters away from Erdoğan’s candidates. The people have voted in favor of democracy, they have chosen democracy. Losing Istanbul and Ankara is an even broader sign of dramatically decreasing political support to Erdoğan and his divisive, polarising political discourse. Turkey entered a recession in March. Youth unemployment is up to 30 percent while overall unemployment is over 10 percent. The Turkish lira lost 28 percent of its value in 2018 and free-fall continues. Inflation has reached 20 percent in recent months. During the whole campaign process, Erdogan has been so desperate because of his declining votes and AKP candidates’ nosedive in polls. Let’s not forget that the AKP had failed to secure a majority in parliamentary elections in June and was forced into an alliance with MHP. That’s why they made election campaign conditions harder, even more unfair, unjust for opposition candidates. We’ve never seen such a vile campaign period in Turkey’s history. 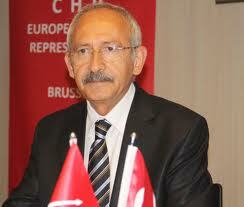 Erdoğan threatened lawsuits, death-penalty for Main Opposition Leader Kemal Kılıçdaroğlu, accused the opposition of criminality or terrorism, and whipped up nationalist anger at rallies. Opposition parties campaigned at a disadvantage in media appearance and resources while AKP’s People’s Alliance candidates were enjoying full coverage by mainstream media. On the top of all efforts of intimidation, threats, mobilization of state resources against opposition, smear campaigns, this media black-out on opposition candidates during the campaign and election night aimed to suppress the opposition’s success. Obviously proven that the citizens do not accept such unfairness and attacks. Opposition candidates’ campaigns were based on concrete projects, vision for their cities offering hope, change and promising create jobs, improve education and improve social services. AKP candidate for Istanbul Metropolitan Municipality, Binali Yıldırım claimed that he won and thanked voters through banners that suddenly appeared across the city at 06.00 am local time even though election results for Istanbul remain disputed. CHP’s candidate Ekrem Imamoglu warned by appearing in front of cameras throughout the night against a fait accompli and said this is manipulation however no major media outlet aired his eight live-presser except Fox Tv. Imamoglu urged High Election board to do their duty with ‘responsibility’. State-run Anadolu News Agency has stopped releasing final bit of results before mid-night because this would confirm our clear victory in major metropolitan cities Istanbul, Ankara, Antalya and other important provinces. After more than 5 hours of waiting for state-run Anadolu News Agency’s release of the results for Istanbul, CHP candidate Ekrem Imamoglu in his final live-presser last night after collecting all official ballot-box records across Istanbul said “I would like to announce to Istanbul’s residents and all of Turkey that our numbers show that it is clear we won Istanbul. We are ahead by over 29.000 votes, it’s no longer possible to bridge the divide”. He also addressed the Anadolu Agency results freeze by pointing out his office has received information from Turkey’s Election Commission (YSK) fairly regularly, so the hold-up is at the news agency’s end. “According to High Election Board and our own data we have won the election in İstanbul. I urge the authorities to take all necessary actions.” said Imamoglu. Following tense nine hours of waiting and many pressers, the election board and AA had to declare Ekrem Imamoglu’s victory as the new Mayor of Istanbul on Monday around 12pm in local time. “Yes 25 years later, history is being written in Ankara. This is an extremely important result for our democracy, republic,” said CHP MP Haluk Koc during a brief presser. Following the declaration of opposition candidate Mansur Yavaş’s victory. According to the unofficial results of the March 31 local elections, 10 provincial municipalities won by the AKP in 2014 local elections have passed to the main opposition, progressive CHP. Opposition alliance consolidated its votes across Turkey. CHP candidates won in almost all major cities; Istanbul, Ankara, Antalya, İzmir, Mersin, Adana, Aydın and many others across Anatolia..These cities mentioned here alone accumulate 32 million inhabitants.